We're not quite sure why, but 70's hairstyles seem to be extremely popular in the galaxy far, far away. Exhibit A: Mark Hamill's haircut from Star Wars: A New Hope. His hair is the shining example of perfect shaggy hair from the era and Luke Skywalker rocked that style on the desert sands of Tatooine. He rocked that do while he crept through the halls of the Death Star. He even had his signature locks during his training on Dagobah during Empire Strikes Back. 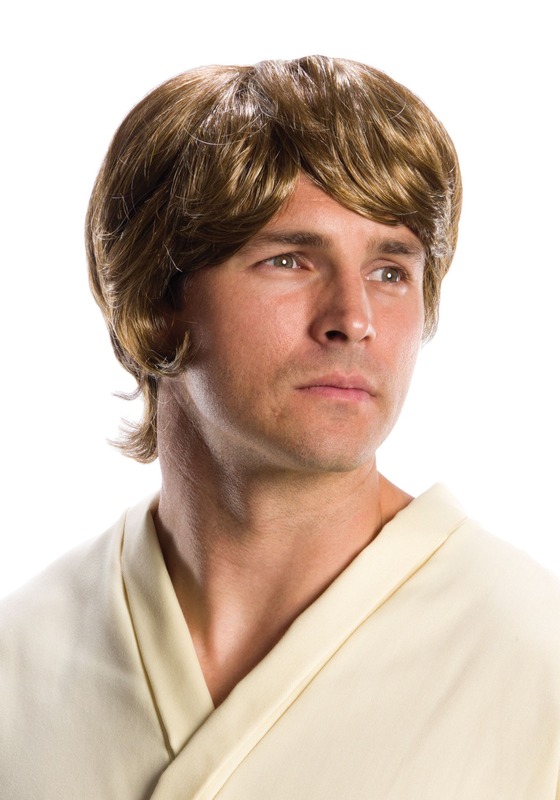 If you plan on dressing up like the young Jedi in training, then you're going to need that 70's hairstyle to complement your look! This Adult Luke Skywalker Wig recreates the look seen in the movie with a set of golden brown synthetic hairs. It's the easiest way to get the look without growing your hair out for a few months and heading to barber. Once you have it on, you'll be ready to leave your small moisture farm for great adventures in the galaxy and maybe a little bit of Jedi Knight training.